I was scrolling through my Instagram feed recently and saw a post that said "If you don't know yet, we also cater to all vegans...", from a restaurant I'd never visited before. Which is how I came to have lunch the very next day at Station 16 Seafood Restaurant & Bar in midtown. 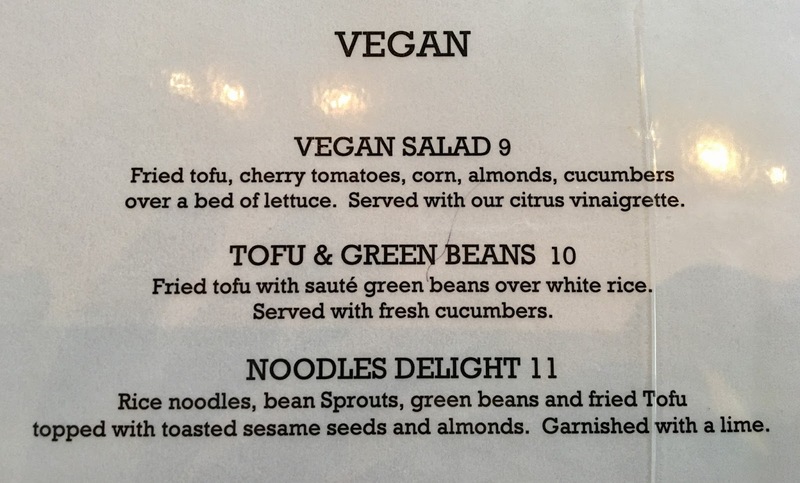 When I walked in the door, I told the hostess I'd read that they had vegan options. So she handed me a separate menu listing the vegan and vegetarian menu items. 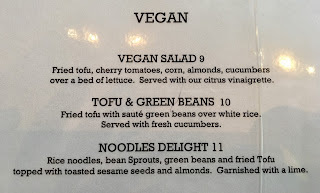 There were only three listings for vegans, but they all looked like things I'd be happy to try. I ended up ordering the Noodles Delight, which was a bowl of rice noodles, bean sprouts, green beans, and fried tofu, topped with slivered almonds and toasted sesame seeds. It was simple, but very, very good. I expect to go back there for it often. Station 16 Seafood Restaurant & Bar is located at 1118 16th Street, and their phone number is 916-228-4042. Their website address is http://www.sacstation16.com/, and their Facebook page can be found at https://www.facebook.com/sacstation16/. 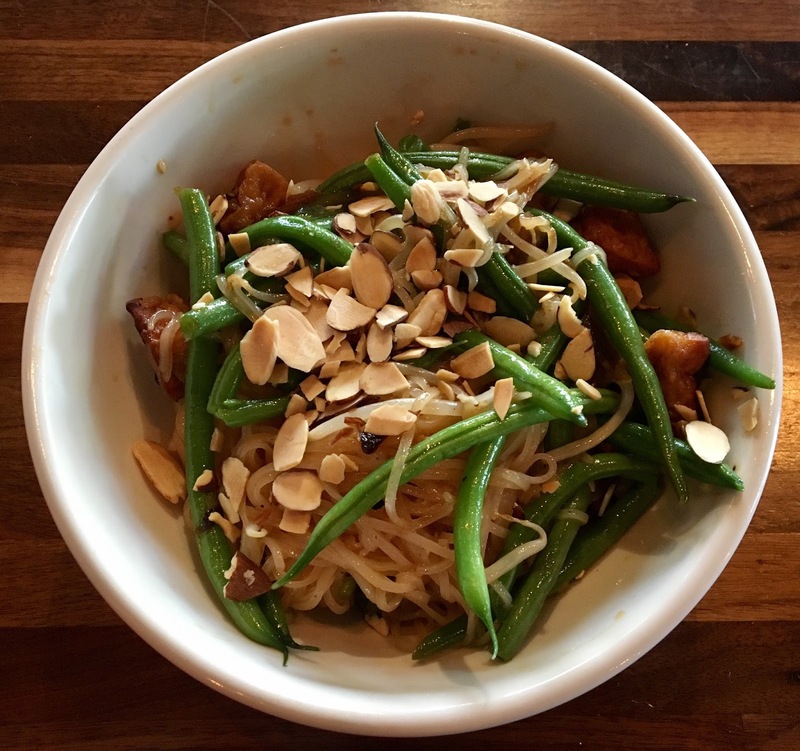 The restaurant is open for lunch Monday through Friday from 11:00 a.m. to 2:30 p.m.; for brunch Saturday and Sunday from 10:00 a.m. to 3:00 p.m.; and for dinner every day beginning at 3:00 p.m.